Supplying Erie and the surrounding area with great Italian Foods since 1961. 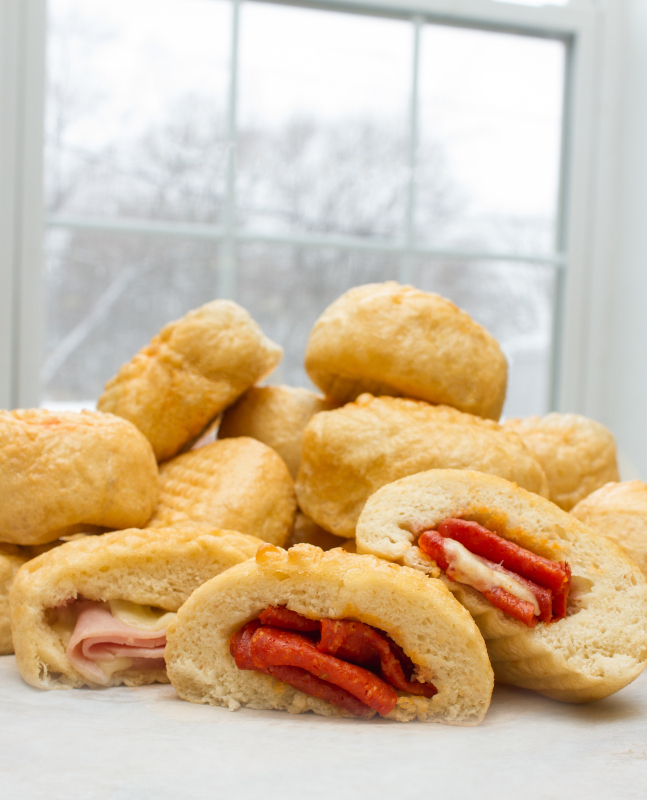 Stanganelli’s Italian Foods is a Family owned and operated business that is known for its flagship products consisting of: Pepperoni Balls, calzones, meatballs, various pastas, sauces, and assorted breads. We have been supplying Erie and the surrounding area with our products since 1961. Interested in finding out more about our history, culture, and products? Check out our Made in America Segment below! Staganellis has been offering Fundraising for over 25 years to schools, church organizations, teams, clubs, you name it. We strive to give outstanding hometown customer service along with a 40% profit on each item sold. We pride ourselves on our quick sale turnaround, organized ordering, and prepacked delivery process. Our products speak for themselves and are easy to sell. That’s why we have many organizations returning year after year knowing that they will make a profit with Stanganelli’s Fundraising. Pepperoni Balls are Stranganelli’s flagship product. Made daily, you are assured the highest quality and freshness. Original handcut, homemade dough stuffed with pepperoni, mozzarella cheese and/or jalapeno cheese or thinkly sliced ham and mozzarella cheese. Make sure you have these in your freezer and you will always be ready for unexpected guests. We can ship out pepperoni balls via the U.S. Postal Service. We will ship out only Monday – Wednesday. Calzones are an Italian tradition at heart. Stranganelli’s homemade dough is filled with a combination of cheeses and meats, vegetables and homemade sauces then baked to a beautiful golden brown. The calzone is a great snack or a fast and delicious dinner choice. Our 21 oz. Gourmet New York Style Cheesecakes will be the perfect ending to any meal! Great for special occasions or any time you need a little something to satisfy your “sweet-tooth.” Just thaw, serve, and enjoy any of our three delicious flavors. Have a dessert on hand for any occasion. Our 10″ frozen fruit pies are made with 100% real fruit. They are the same “homemade” pies found in many restaurants so you can be assured of the highest quality possible. Heritage Candles are handcrafted with pride in the USA since 1992. They feature 55+ hour burn times, lead-free wicks, and are highly fragrant. Our retail shop is located in the Oakwood Plaza, open Tuesday thru Saturday with daily specials. You can purchase our signature items such as pepperoni balls, various pastas, sauces, and breads; additionally they offer homemade Gelato, lunch and/or dinner meals. Italian specialty items are showcased with the Dello’s Product Line.